Is Jason Lee A Wife Beater? How Many Ways Can You Call Miley Cyrus Bad? Aren't The Police Looking For Suge Knight? What Do You Think? Luke Wilson A Diva? I hope that everyone has a safe holiday weekend. 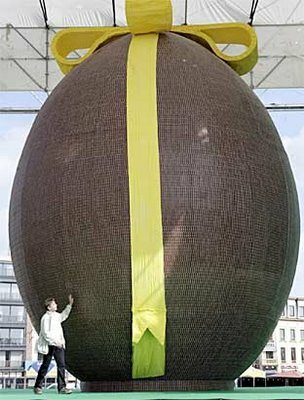 This is a great time to spend with family and to also find the year old eggs you hid last year during the Easter egg hunt. 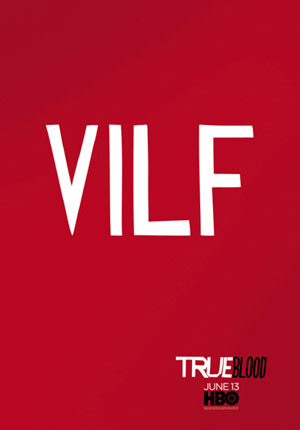 Word of warning. Don't try and eat them. I speak from experience on this one. Chocolate ones from a year ago are perfectly fine. Heck, even three or four years ago. Also, look out for Harvey. He can be hard to see. I guess you are veer too young to spice up your relationship, but this is the oddest combination. First, you have a C list actress on a hit show for a network. It doesn't take much to have a hit show on this network. She has an older boyfriend. Not much older, but older considering she is pretty young. They have been dating awhile. He is a C list actor also on a hot show for a network. Again, doesn't take too much to be a hit. Recently, our actor ran into a friend of his who is a B list actor on a very hit television show. They have known each other awhile and even did a project together. Well, one thing led to another and the next thing you know all three were getting freaky at a party together and then brought it back to the B list actor's house. 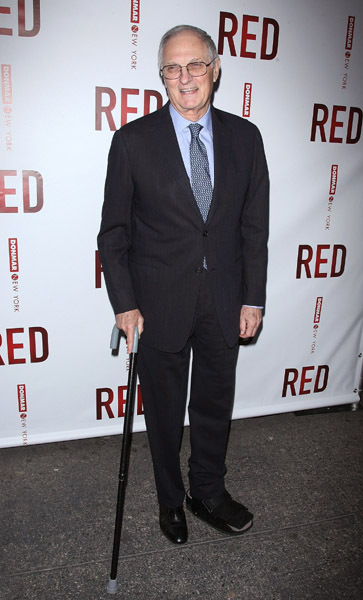 Oh, this B list actor is way older than either of the other two. #4 - Any of the shows. 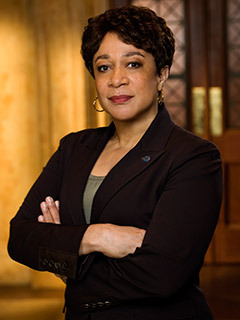 Top spot today to S. Epatha Merkerson who is finally leaving Law & Order after 16 years. I'm going to miss her. Anna Friel in Los Angeles with her, umm, friend. The same guy she has been umm, friends with for awhile but keeps denying it is anything more. So, she is in LA with her, umm, friend and her partner is back in London with their daughter. I'm getting old. 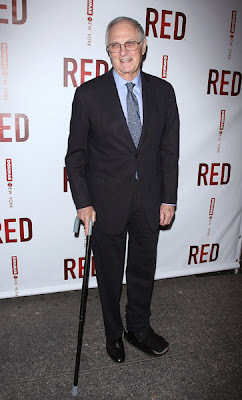 Alan Alda is using a cane. 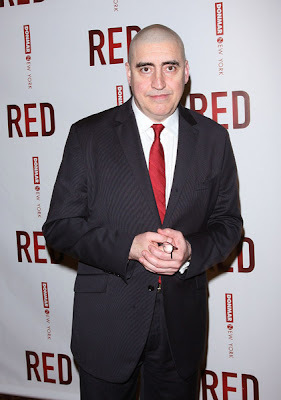 Alfred Molina has shaved his head. Mist have liked the look on Hank Azaria. Alicia Silverstone with the same expression she has always had. 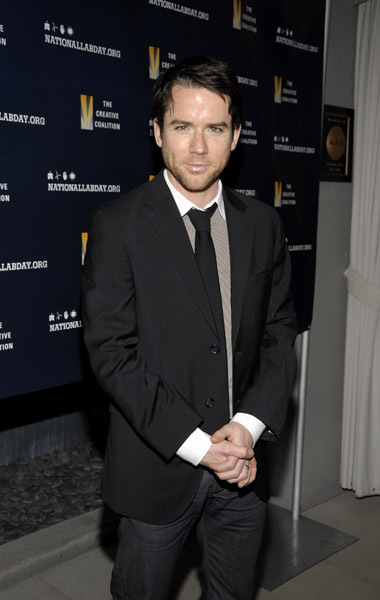 First time appearance for Christian Campbell. Bradley Cooper on the set of his new movie. Do you think Honor always knows where the cameras are? Meanwhile, Isla and Olive seem oblivious to the cameras. Dev Patel shows a new way to catch a cab. 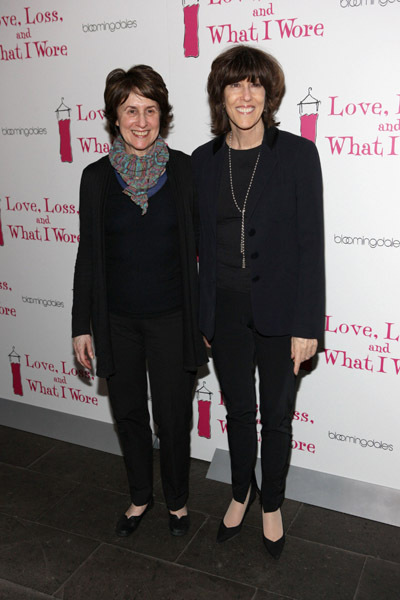 Did you recognize Debra Winger? 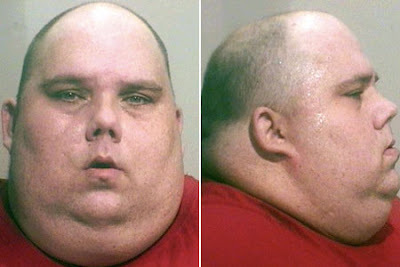 So, this guy weighs about 600 pounds and was arrested for stealing burgers and shakes at restaurants. No jail time though because the local jail didn't want to be responsible for him. Just a fine. At first look it seems like Lorraine Bracco is wiping Jeff Goldblum's nose while he fondles her breast. Jennifer Hudson has dropped a ton of weight. I guess this is why she is the Weight Watchers spokesperson. Nothing really licious about the cast of Jerseylicious. Speaking of Jersey, Pauly D was sunning himself yesterday. I didn't think people actually used that foil trick anymore. And with Tom Cruise. Just kidding. It is Xenu. 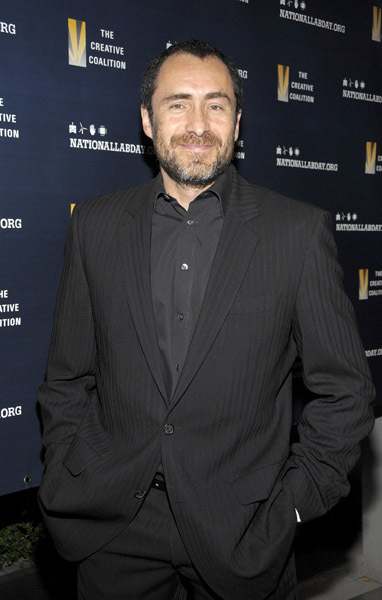 Speaking of Xenu. This is Jennifer Lopez shortly after lunching with Queen Xenu, Leah Remini. Note to self. Jessica Simpson has a very long tongue. 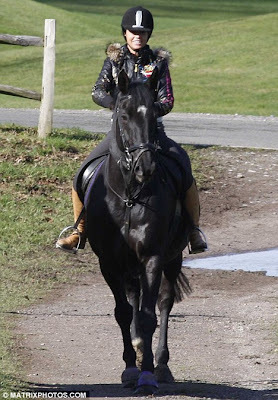 Katie Price riding a horse and not wearing one piece of the clothing she sells for riding horses. Instead it is an Ed Hardy jacket and some other stuff. Kendra Wilkinson shopping at Target yesterday. That's a flattering photo of Lindsay. This is right before her spill to the ground. Ahhh, nothing like filming those Christmas movies in April. This is Leighton Meester by the way. 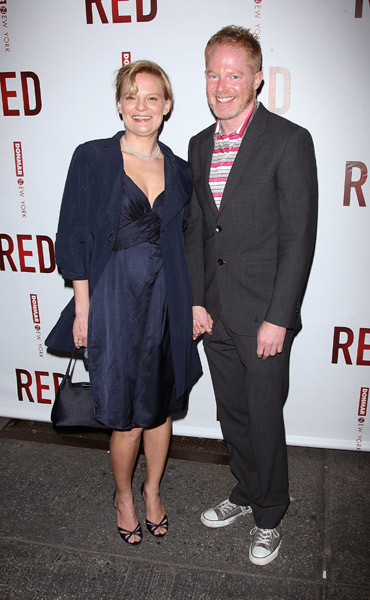 So, do you think Mamie Gummer will ever come close to breaking her mom's Oscar nomination record? Meryl has what, 16 or 17? she gives him some tongue right on the red carpet. Hello publicity. I always have room for a Goonie. 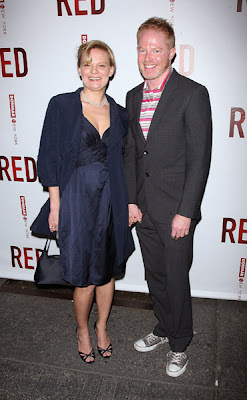 So, here is Martha Plimpton and Jesse Tyler Ferguson. 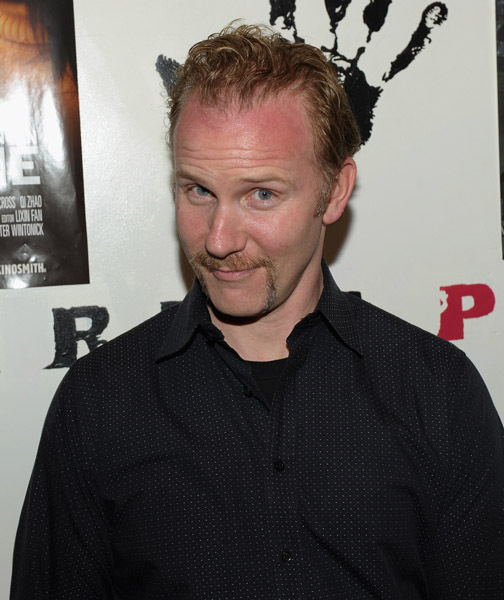 Bad place for a photo Morgan Spurlock. Looks like you are the devil. 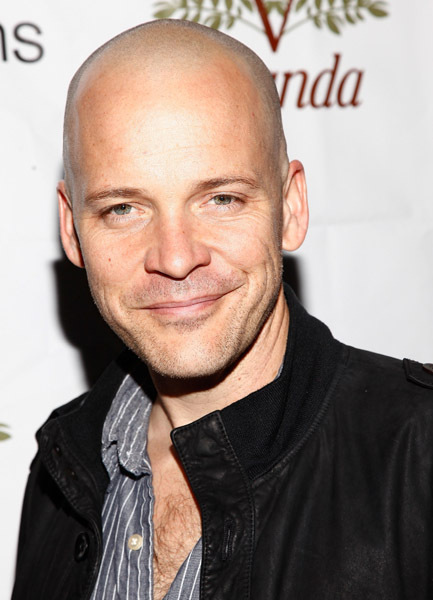 Some Peter Sarsgaard the way you like him. Alone. Rachel Bilson and her dog. Rachel Bilson and no dog. Did she put the dog in her car? Long time no see Rachel Hunter. She was everywhere and now not so much. Rosie Perez brings back the 80's perm. Shannen Doherty and Mark Ballas making the rounds after their elimination from DWTS. Sam Worthington meeting his fans in New York. Hmmm. Now what could this mean? Tim Daly on the Harry Hamlin diet. The very fabulous and amazing Ephron sisters. 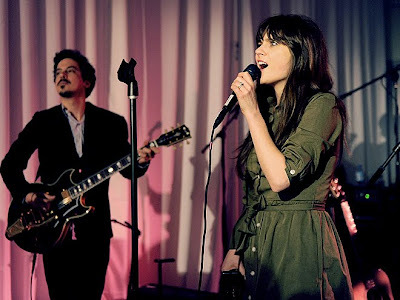 She & Him - New York City aka. The Zooey and her husband. 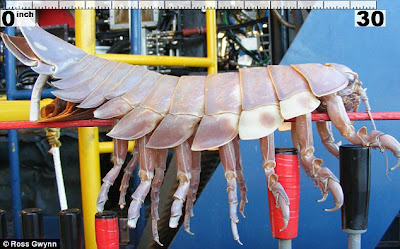 This was caught in the Gulf Of Mexico this week. Umm, yeah. Throw it back or call MIB. First time appearances for Zoe Lister Jones & Daryl Wein. Deer in the headlights look from Zachary Quinto. 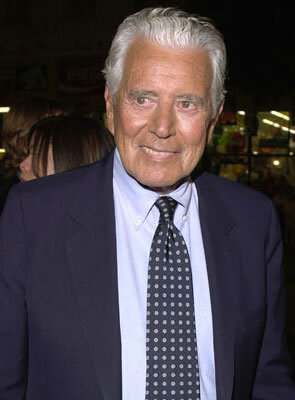 A publicist says actor John Forsythe, who played scheming oil tycoon in "Dynasty," has died at 92.